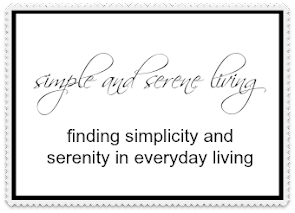 I have always heard that patience is a virtue, and I know that living a life with patience brings about simplicity and serenity. 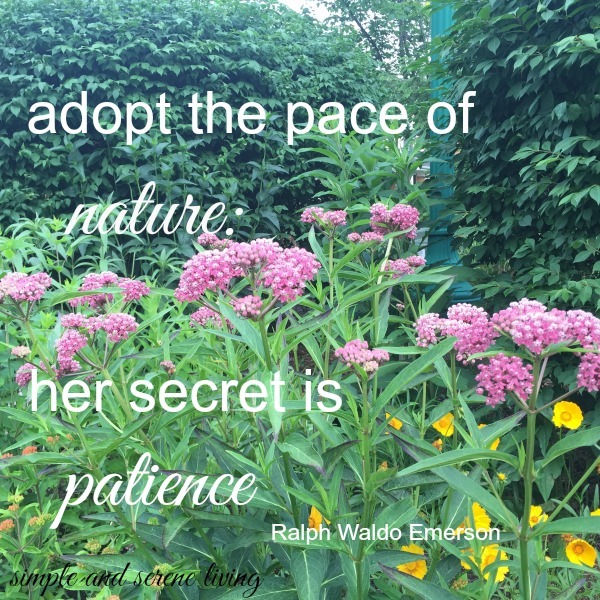 I know this, and I talk about is to others, but I find that impatience is one of the hardest things for me to overcome. I am a person who wants things to happen now, but I have also learned in my long life, that we can't always control how or when things will happen. Just like nature, we have to wait until the universe lets us know that it is the right time. There is a time for flowers to bloom, and that time is not in the winter. No matter how much we demand or stomp our feet , when the time is right it will happen, and when it happens it will be the perfect moment. So I am practicing patience, and when I find that it is hard to wait I center myself with meditation. I enjoy the moment that I am living now, knowing that what I am waiting for will happen. Do you have a problem with patience? I used to be a lot more impatient than I am now. I spend my days in solitude. And peace and quiet. I think waiting is one of the hardest things I have to do. I want problems solved NOW! I have always been that way too, Lorrie. I'm trying to change, but it is hard. I'm the same way. It's very hard to be patient sometimes. I do find that the older I get it is easier though. I do think that as we get older we have more of an awareness of time and of the importance of patience, Kelly. I've been learning as I grow...I think the older we get the easier it is. Good things come to those who wait they say...and I totally believe it. Look how long we waited to move up here, 10 years. Can't say that I am patient in everything, lol...grow garden, grow! You did wait a long time to get your dream, Jen, and look how much you are enjoying it now that it has happened. I think I've become a pretty good wait-er by now. Except if it's over concern for a child or grandchild. But oh, the stories I could tell you of past years! I think we all have those stories, Dewena. LOL Concerns over a child or grandchild make it very hard for us to be patient, but worrying unfortunately does not speed things along. I sure wish that it did, though. Nancy, I am so sorry that you were given such a burden at an age when the two of you should have been starting to have time to really enjoy your lives together. Blogging friends are definitely some of the most wonderful and supportive friends in the world. I think it is far easier to be patient when you realize the results of your impatience are not what you want. That line of thought has really helped me.